The smooth elegant aura of this polished moon white marble tub communicates comfort and relaxation. 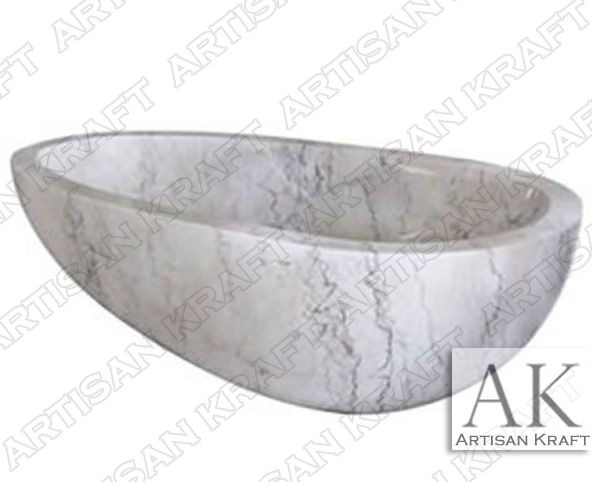 End the day in a hand carved marble tub made to your custom dimensions. Bathtub carved from solid block of marble. One of the many beautiful tubs that we offer.